If you’ve ever had teeth extracted, you know it can leave unpleasant gaps in your teeth. These gaps can cause trouble chewing, speaking, and keeping your teeth clean. 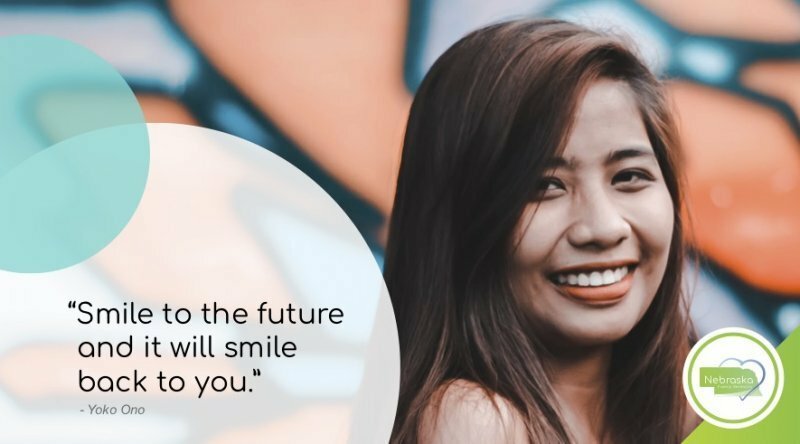 If this is the case, we’ve got the solution you’re looking for: dental bridges. A dental bridge is just what it sounds like. A dental bridge simply “bridges” the gap created by missing teeth. Using one or more artificial teeth (or pontics), bridges are set upon crowns over the top of a gap. This creates a natural-looking set of artificial teeth to replace the tooth that was previously extracted. Traditional Bridge – The most commonly used type of bridge, traditional bridges use a crown on either side of the gap. Cantilever Bridge – Cantilevers are used when there is only one tooth to support the bridge. 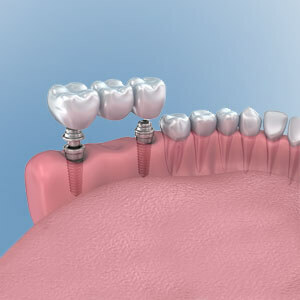 Implant-Supported Bridge – Implants are the most stable of any tooth replacements. Implant-supported bridges bond with the jawbone to provide a tooth-like structure. Different types of dental bridges can also be made up of various kinds of materials. If you have questions about any of these, feel free to give us a call or set up a free consultation. We’re happy to talk through the options with you. Porcelain Bridge – Porcelain bridges offer the most realistic option since they appear to have the same surface as teeth. For porcelain bridges, the surrounding teeth require more modifications than for metal. Because of this, porcelain bridges tend to cause more wear and tear to nearby teeth. Zirconia Bridge – Zirconia bridges, while similar to porcelain, are much stronger than porcelain. They require minimal amounts of tooth alteration, making them an ideal choice for patients with surrounding teeth that are already worn down. Who can get dental bridges? For the most part, anyone who is missing between one and three teeth in a row can get a dental bridge. Typically, dentists won’t recommend a dental bridge for those missing more teeth than two or three. Instead, implants tend to be the best options for those missing more teeth. There are a few things that can disqualify a patient from being a candidate for a dental bridge. For one, if a patient has developing gum disease, a bridge would not be a long term good option. Additionally, severe tooth decay can prevent someone from being able to get a dental bridge. 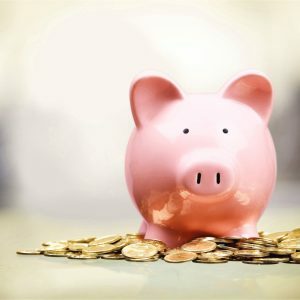 The cost of a dental bridge can vary significantly. Depending upon many factors, a bridge can fall between $500 and $1200 per tooth. The best way to know the cost of a dental bridge is to set up a free consultation with one of our many locations. As one can imagine, a bridge with one pontic will be less expensive than a bridge with two or more pontics. Also, the price of zirconia will be greater than that of porcelain. If you’re concerned about being able to afford a dental bridge, don’t worry. Nebraska Family Dentistry proudly partners with Lincoln Dental Plans to offer affordable dentistry. Click the logo to their website to learn more. We also offer CareCredit, dental payment plans, and take payments in several different forms. If you have any questions about affording your dental care, give us a call, and we’ll be glad to talk you through the options. In our office, we tend to get asked the same questions often. To help you understand dental bridges further, here are some of the most commonly asked questions we hear. Do I need to be a certain age to get a dental bridge? In most cases, dentists don’t recommend bridges for children. On the other hand, there aren’t patients that are too old for a bridge. 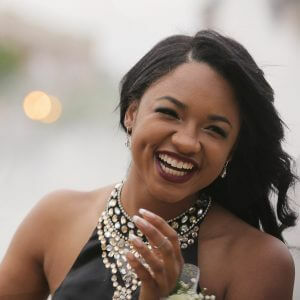 Once patients are in their late teens, typically dentists will be able to place a bridge, since their jaw has nearly completed the growing process. Can I get a bridge after having a tooth removed? 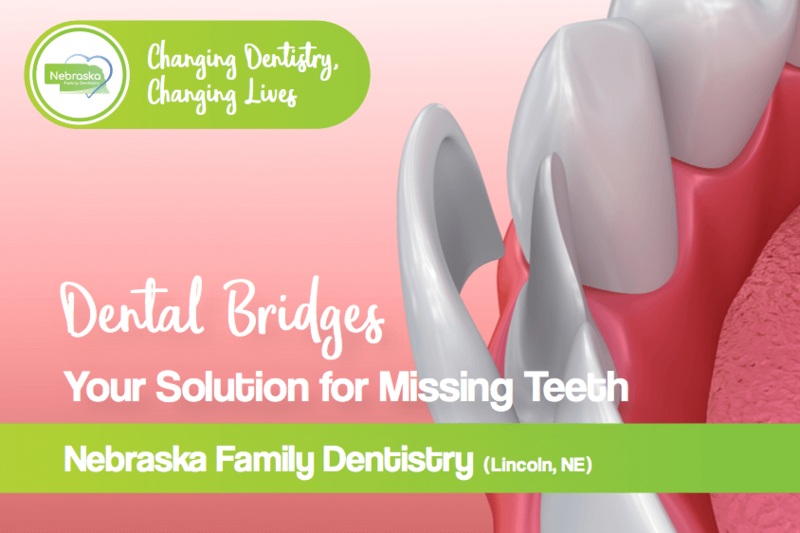 All Nebraska Family Dentistry locations offer same-day temporary bridges that can fill the gap in your smile. Usually, these temporary bridges are placed in the meantime as the dentist and patient discuss the plan for the tooth’s replacement. I’m pregnant. Can I still get a dental bridge? Dentists don’t recommend getting a bridge for pregnant women in their first trimester. This is primarily because the anesthesia used is associated with many health risks for pregnant women. Can the tooth or teeth under a bridge be ruined and get a cavity? It is possible for teeth holding up a bridge to have severe decay or gum disease. If this is the case, your dentist will sometimes need to remove the bridge to address the underlying issue. Usually, two dental appointments will do the trick. However, each bridge treatment is different, so your dentist will work with you to determine how long it will take. 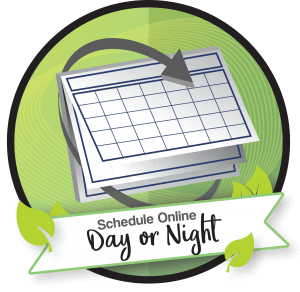 What do I need to know the day of my free consultation? Your medical history! Be sure to let your dentist know of any pre-existing conditions like heart issues, diabetes, liver disease, etc. Also, your dentist will want to know what your expectations are for treatment, as this will help him or she be sure that you’re satisfied.